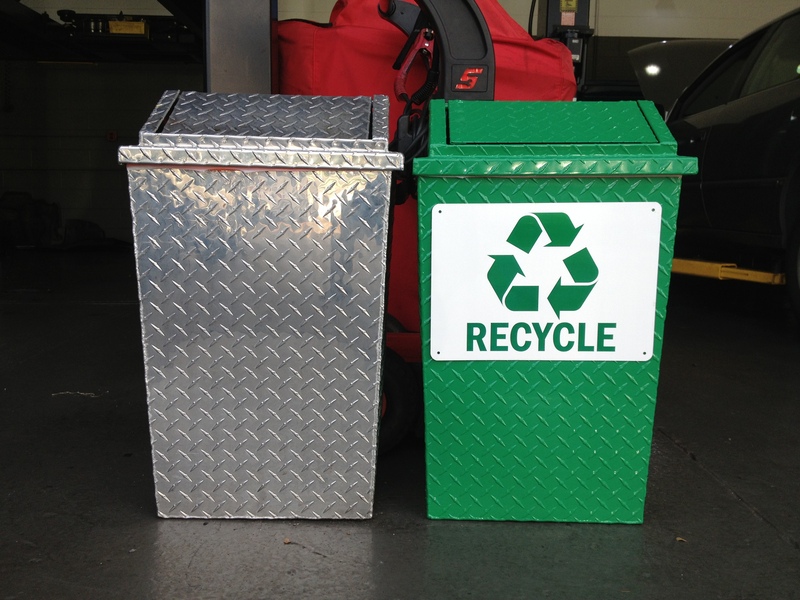 Hi-Tech Automotive » We Have Recycle Bins! Doesn’t sound like such a big deal, right? But it is. To us, every little thing that we can do to do our part for the environment is worthy of celebration. We think they look pretty handsome, especially next to their companion trash cans!